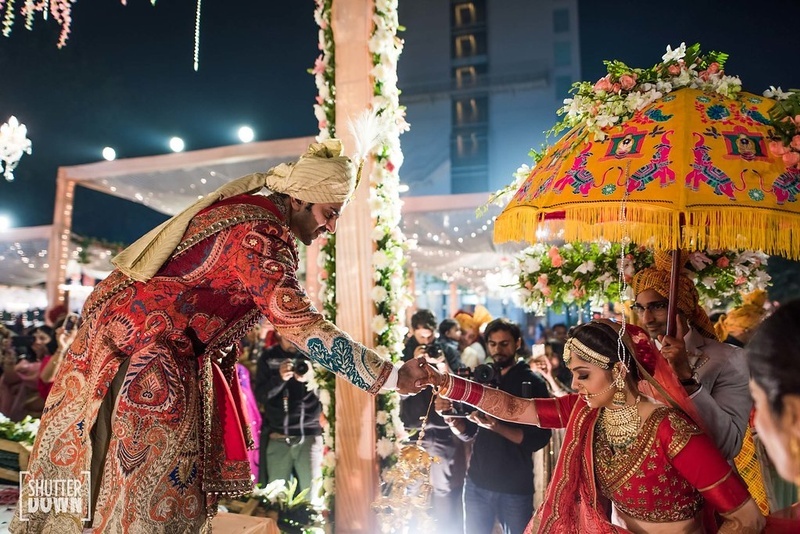 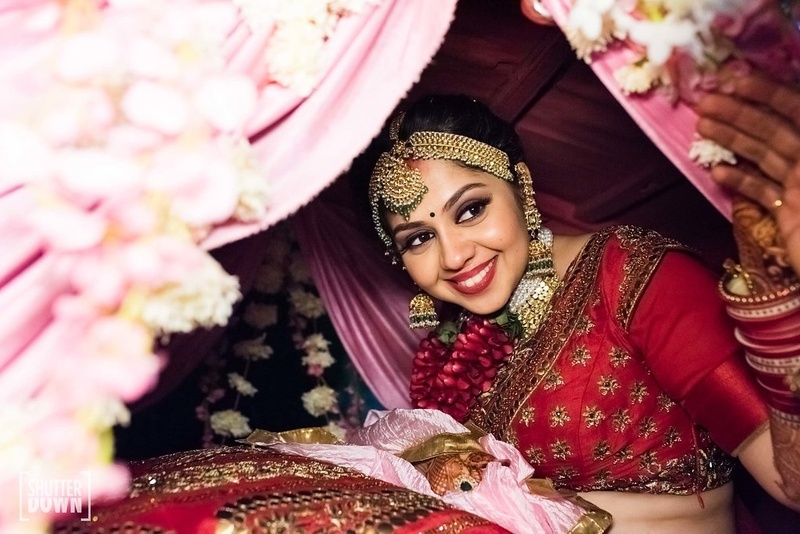 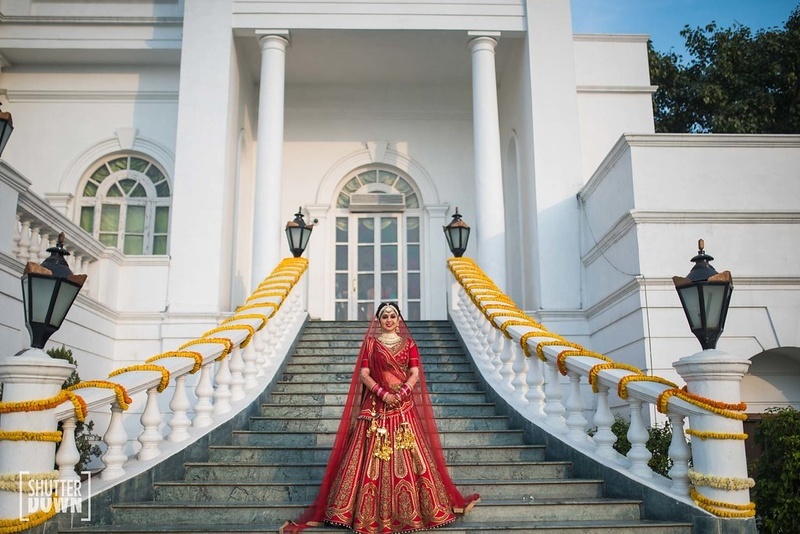 This Hotel Renaissance, Lucknow wedding had the most gorgeous mehndi and decoration ideas! 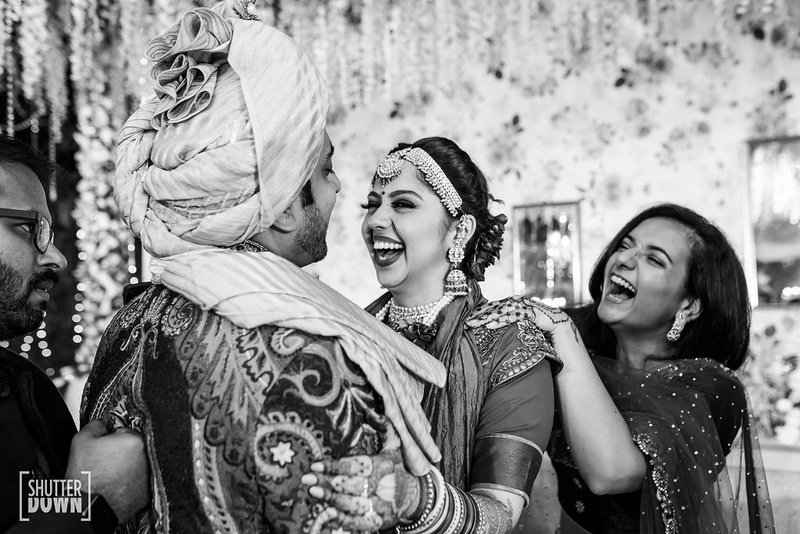 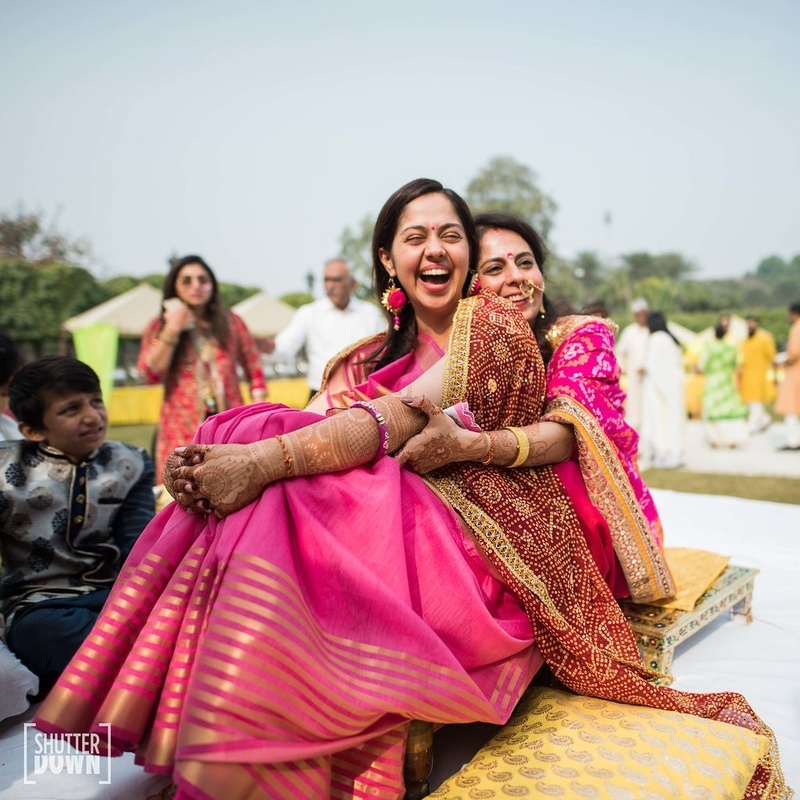 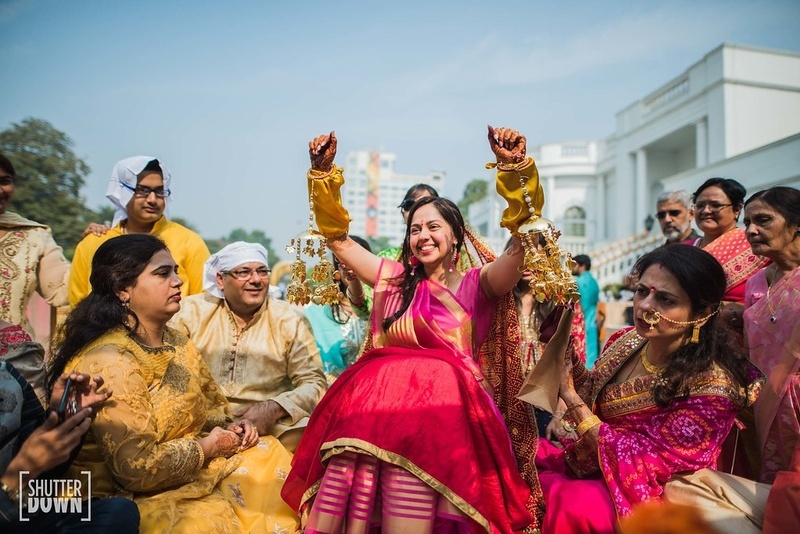 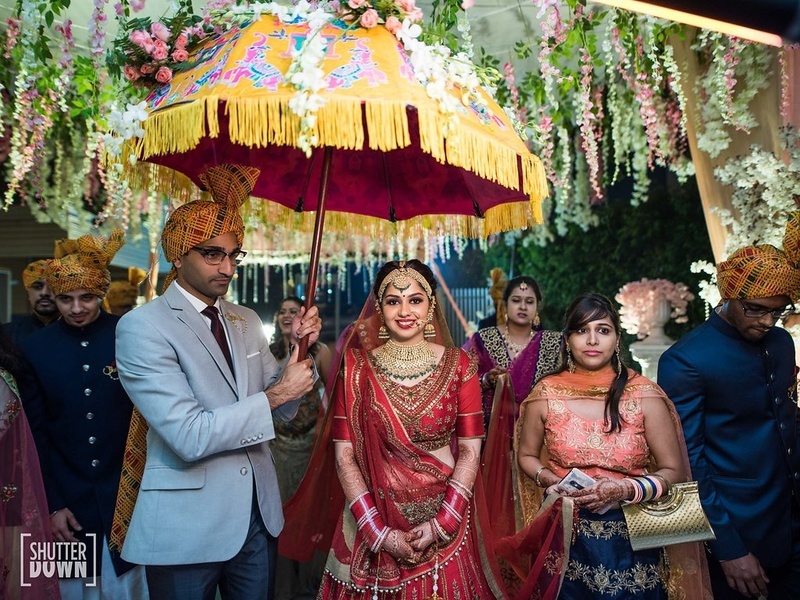 Avrial and Anisha just got hitched in the most gorgeous Hotel Renaissance, Lucknow wedding! 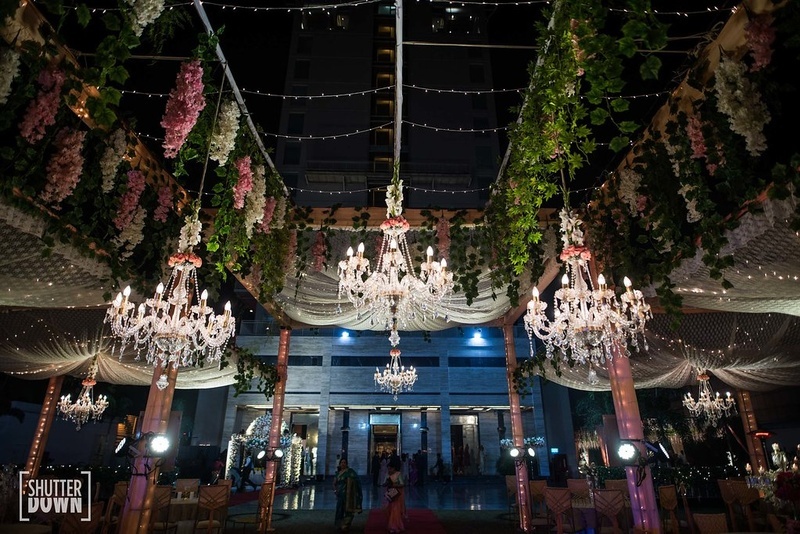 Choosing their hometown as the venue, the couple chose Hotel Renaissance for it's perfect blend of classic nostalgia and outdoor luxury. 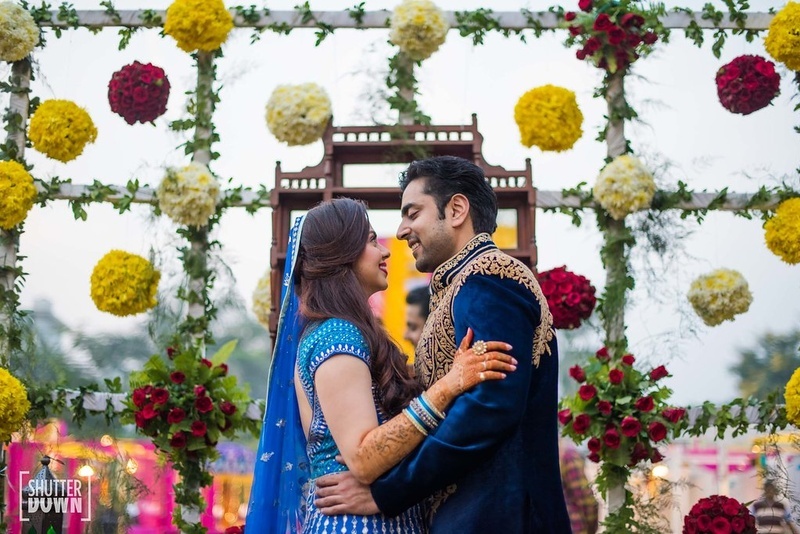 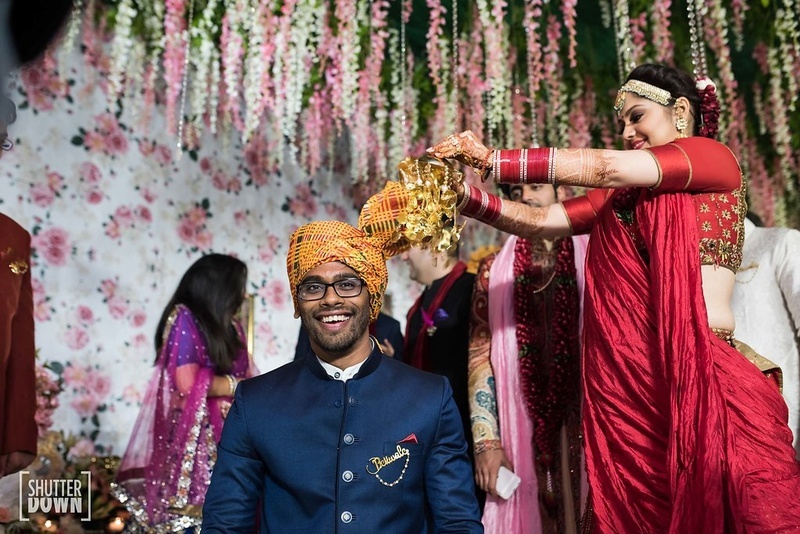 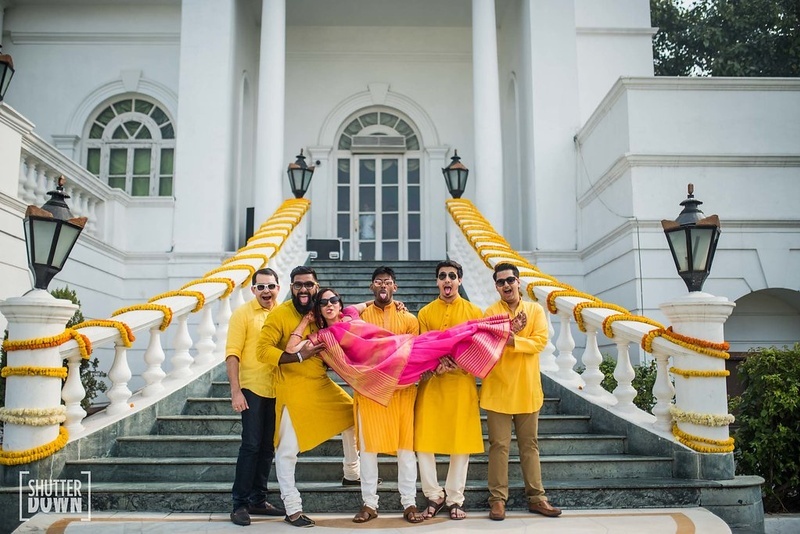 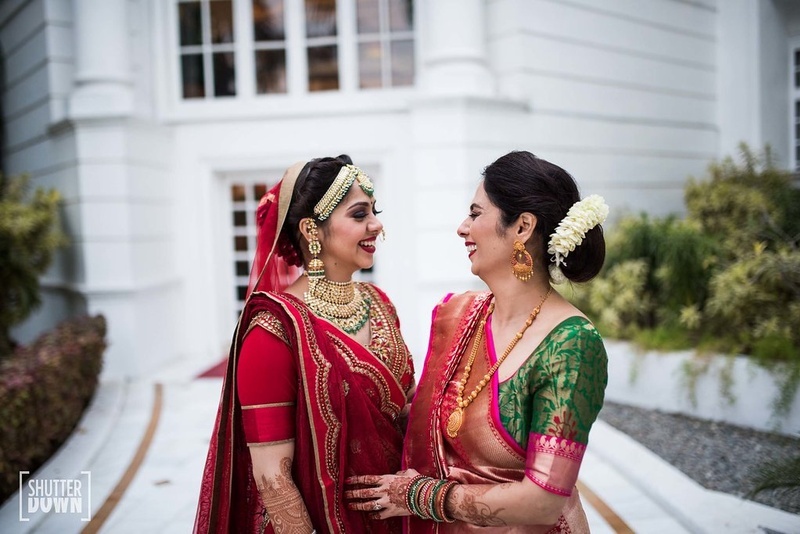 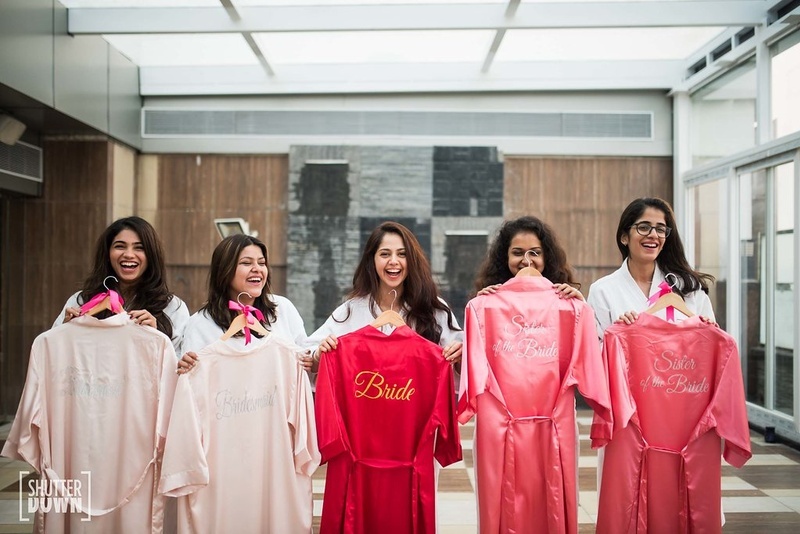 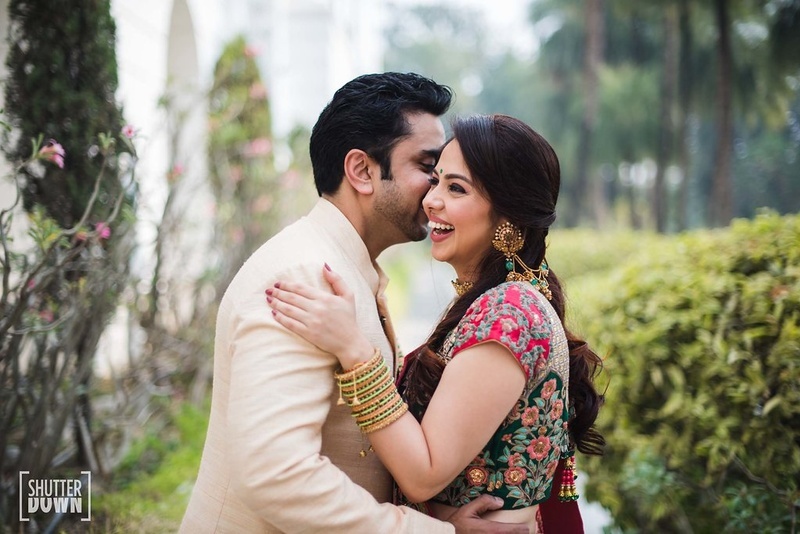 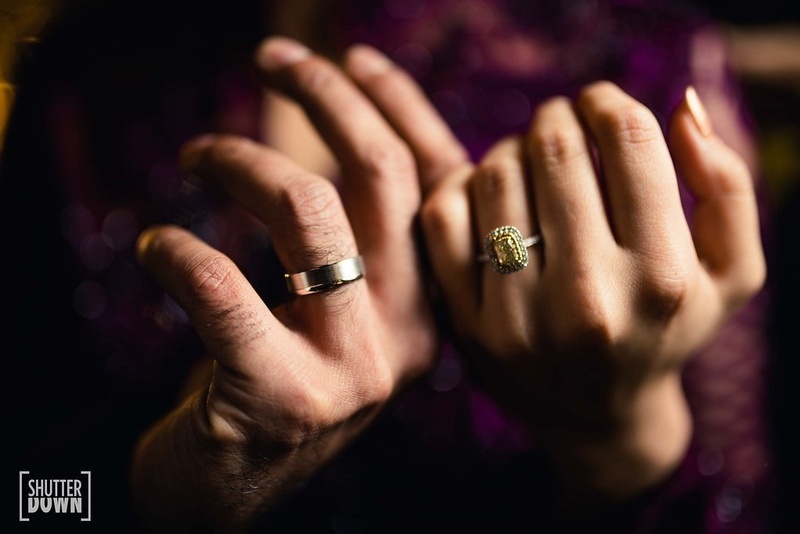 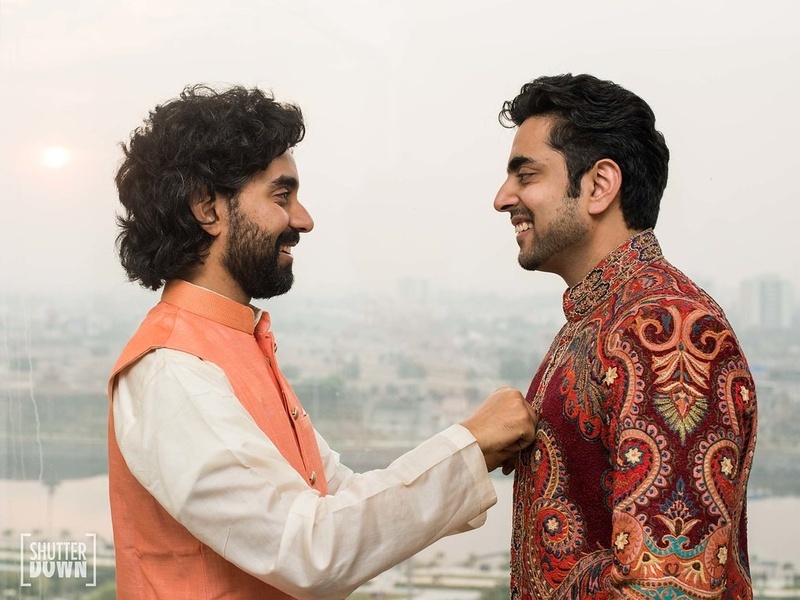 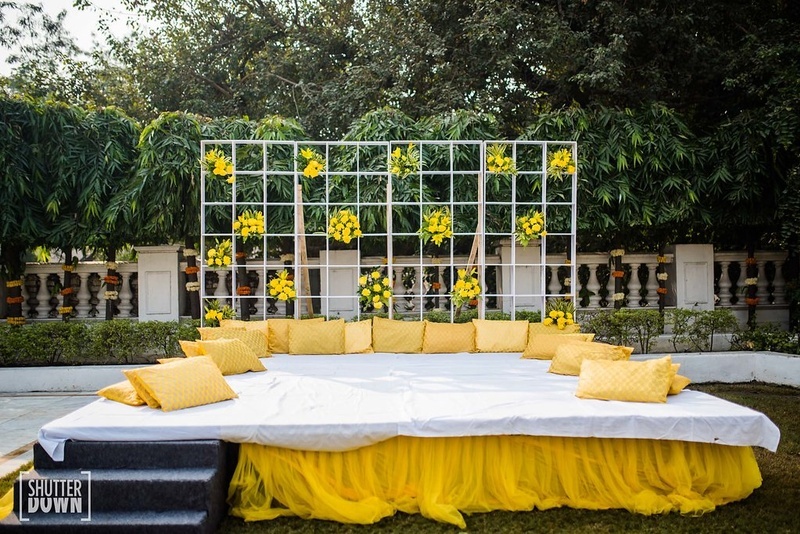 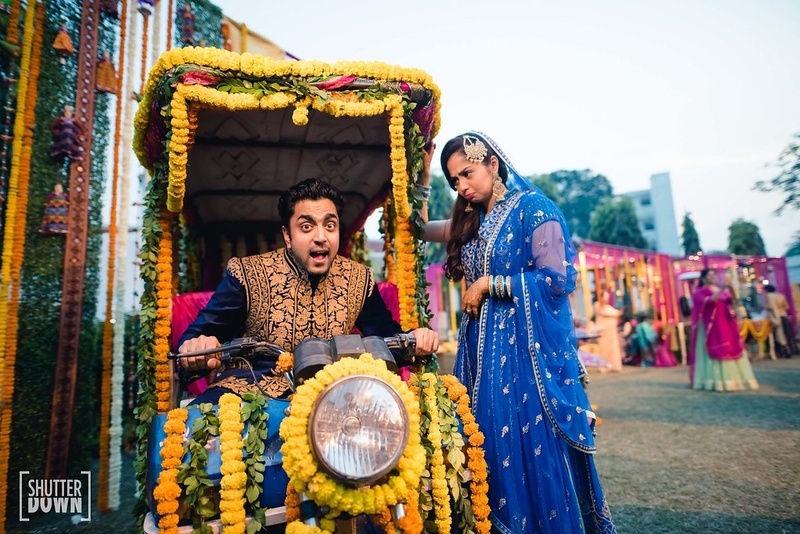 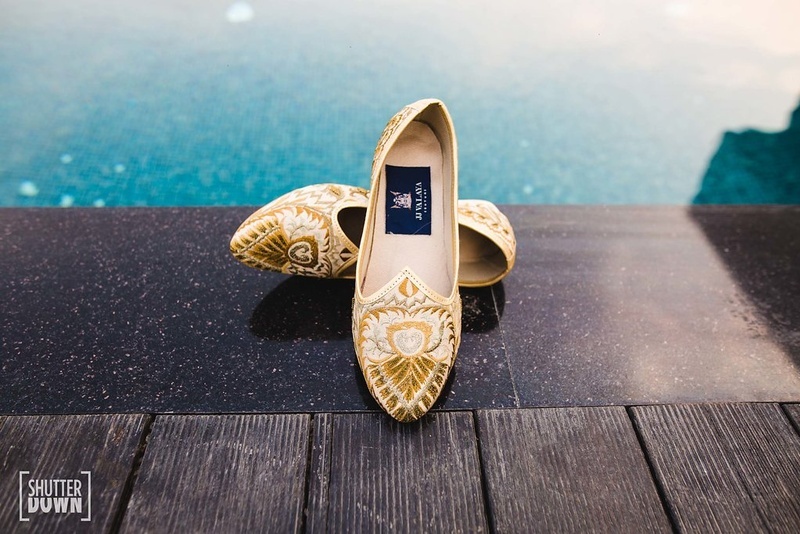 From a heavenly cocktail and engagement night to outdoor haldi functions, the hotel provided them with the atmosphere and look that suited the couple. 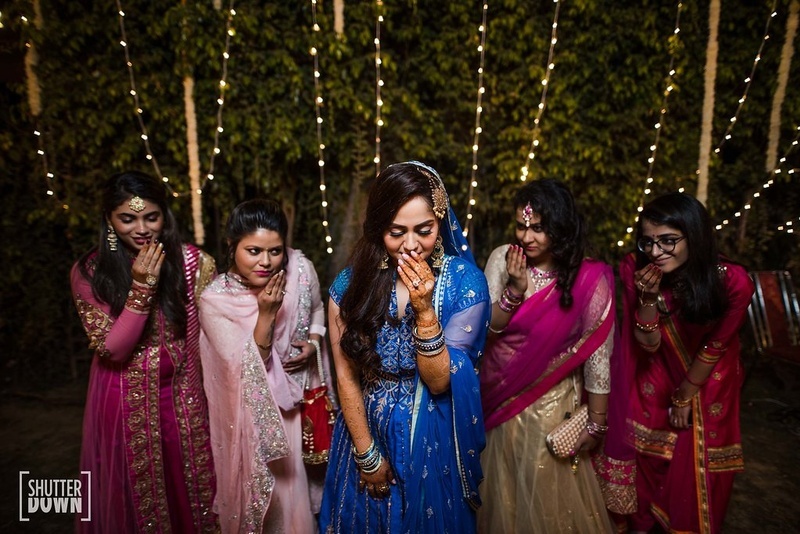 Outdoor weddings have always been a favorite, giving us some of the best photographs ever. 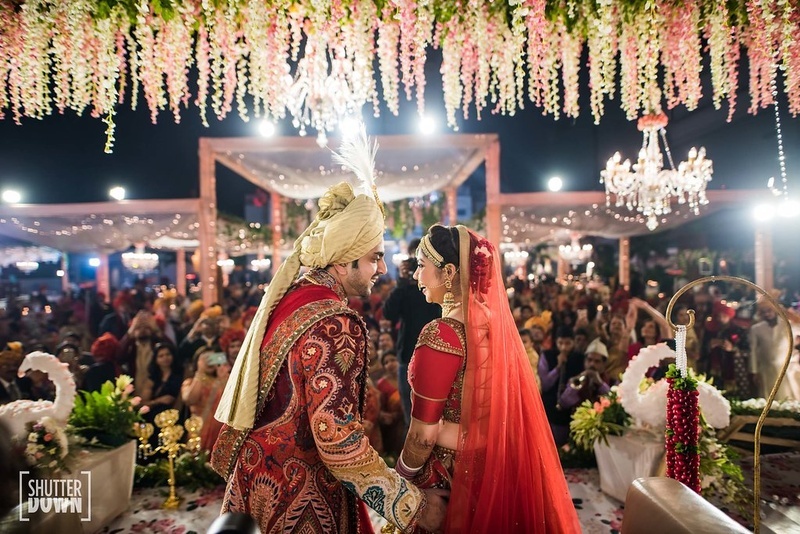 The choices available in terms of wedding photography, mehndi functions at Renaissance, Lucknow, etc are endless. 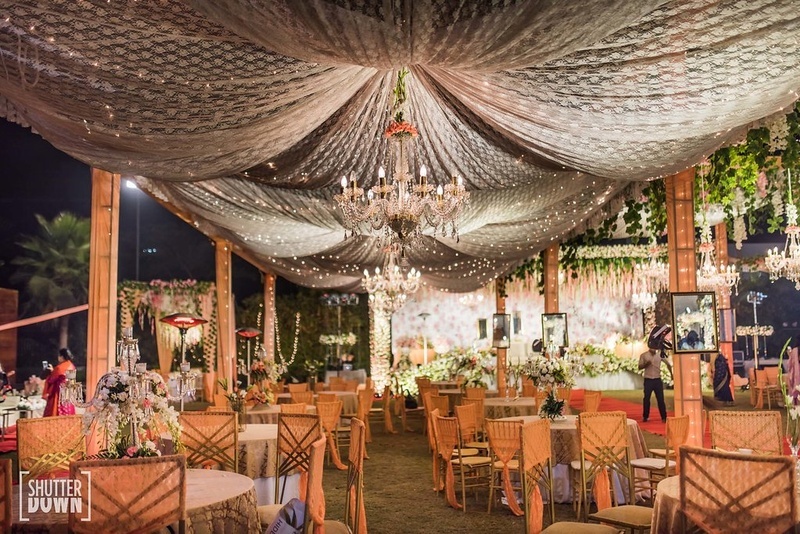 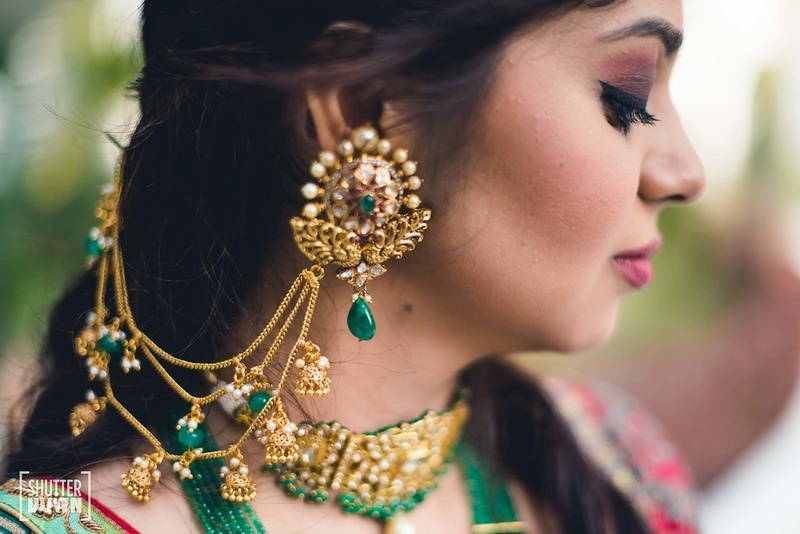 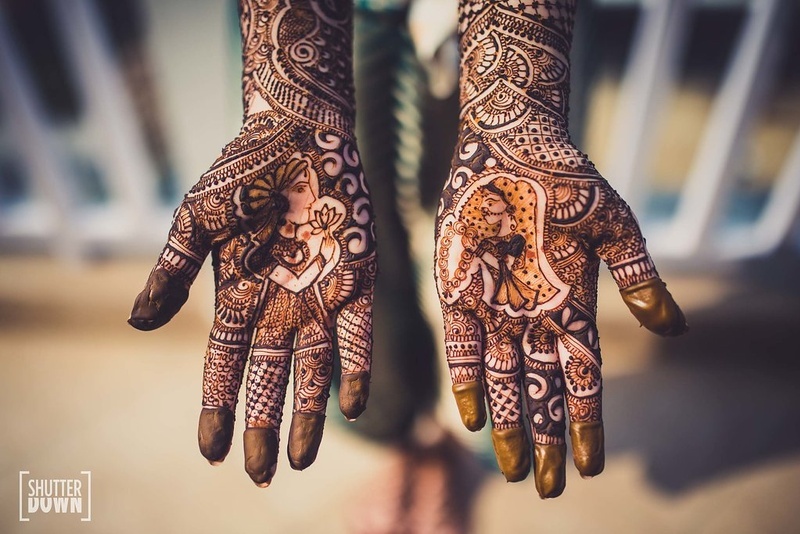 From quirky mehndi function decor ideas to summer wedding mandap decor, this wedding has given us the most unique and refreshing ideas when it comes to mehndi and decor goals! 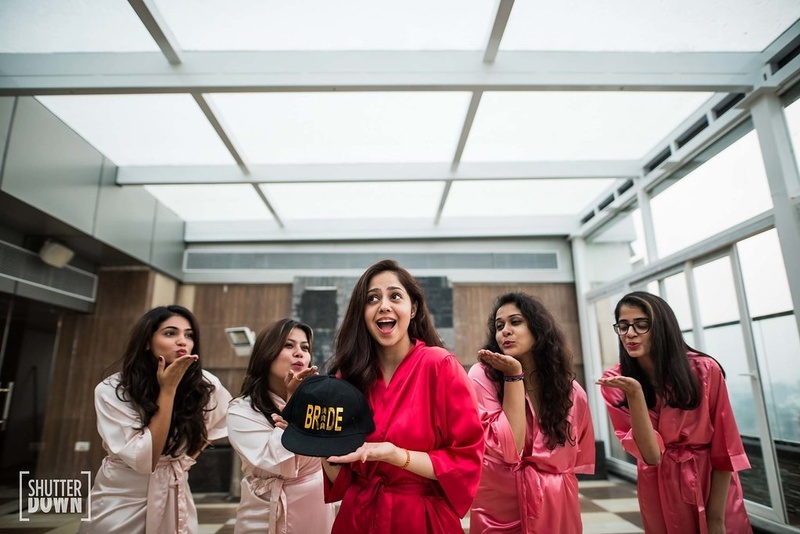 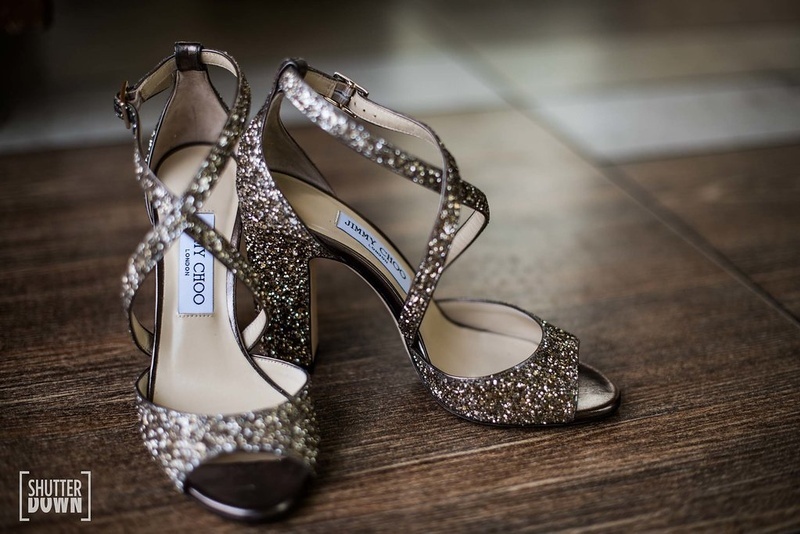 How did you decide the wedding trouseau? 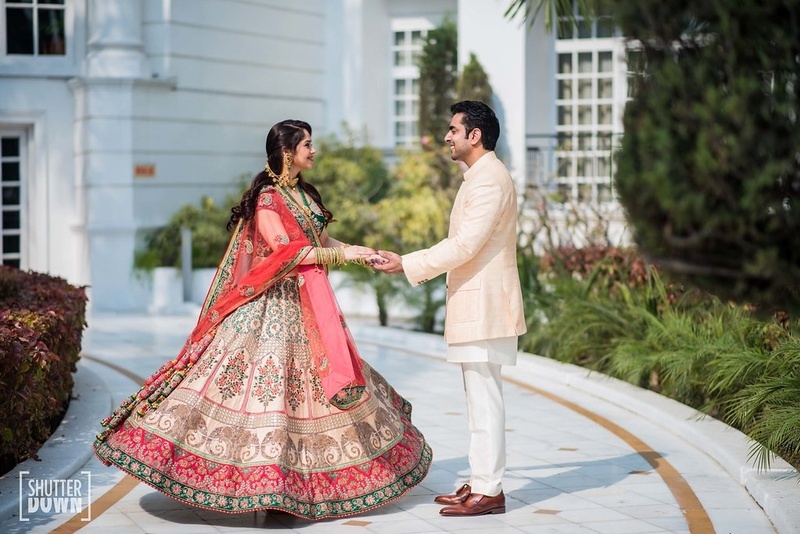 Bride Anisha and her family are spotted throughout in some of the most stylish attires we've come across, starting from gorgeous red, white and green lehenga worn for her mehdni function at Hotel Reniassance, Lucknow. 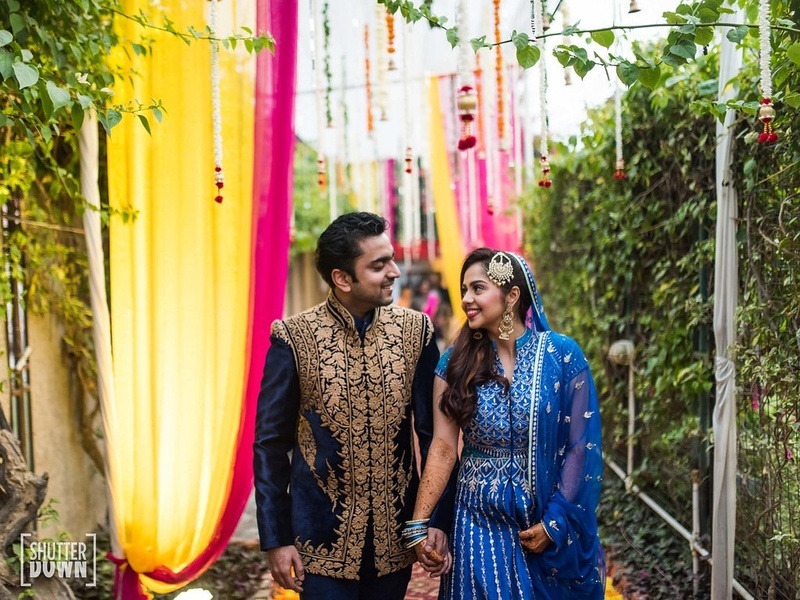 Twinning with her groom on several occasions (we also love the understated yet totally epic way the groom pulled of his blush peach jacket), Anisha chose to go all out during her pre wedding functions, with matching royal blue garments and contrasting summer wedding decor. 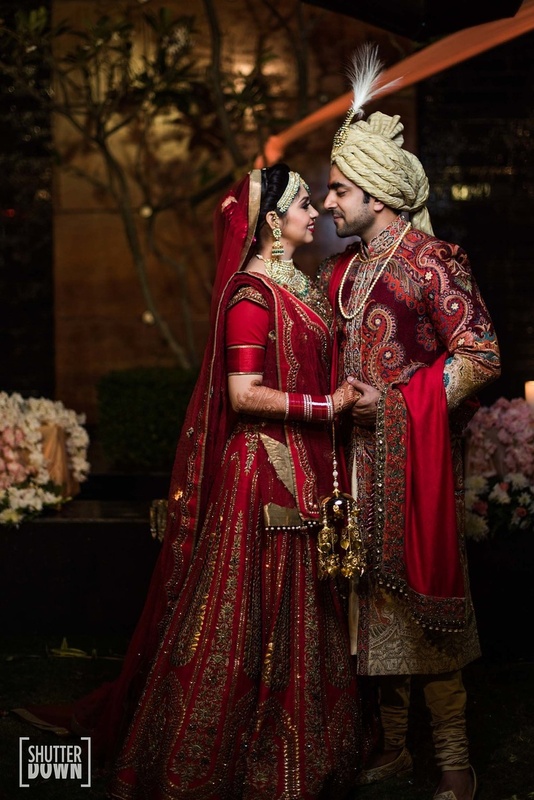 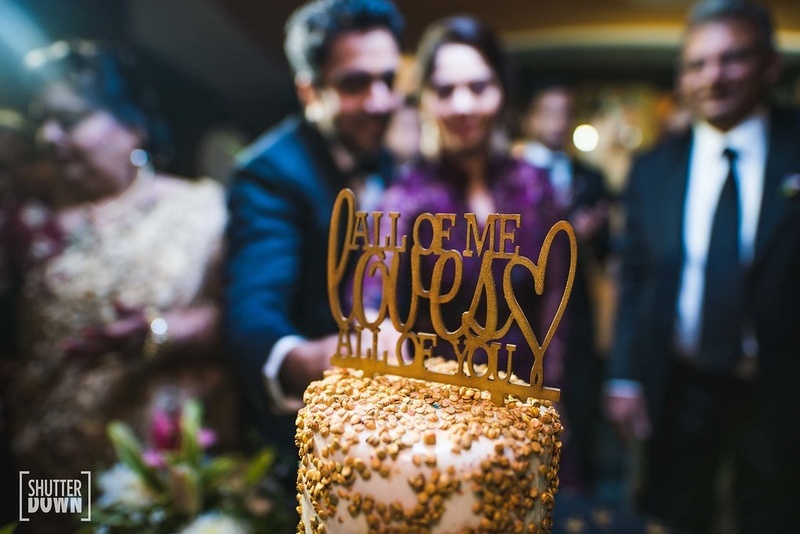 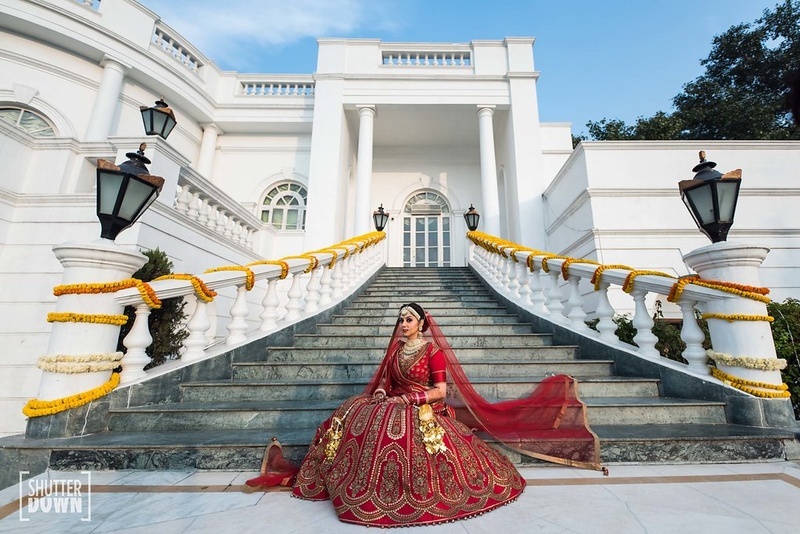 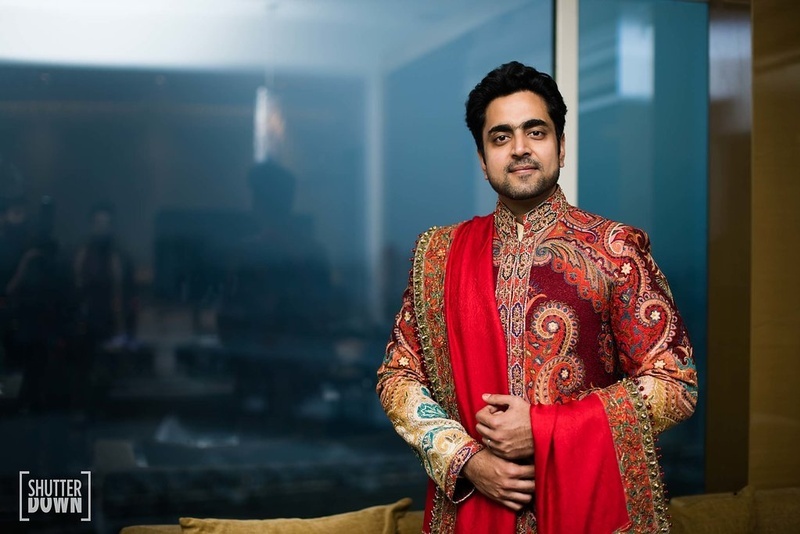 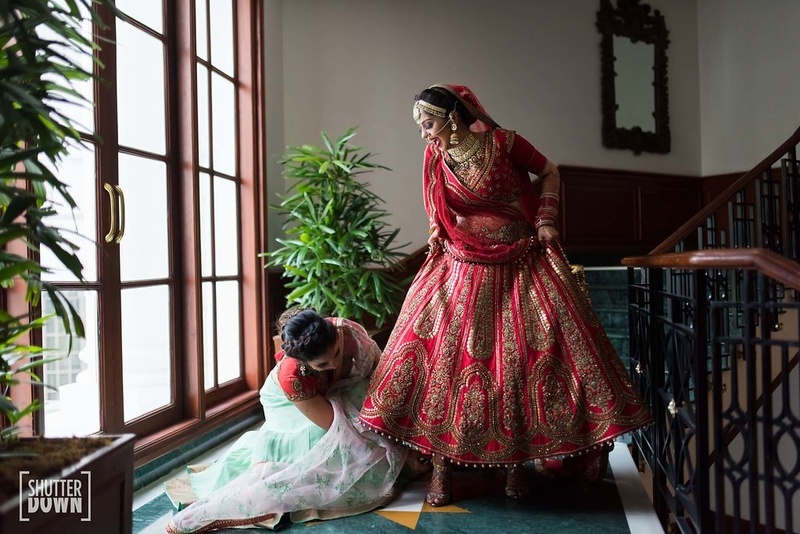 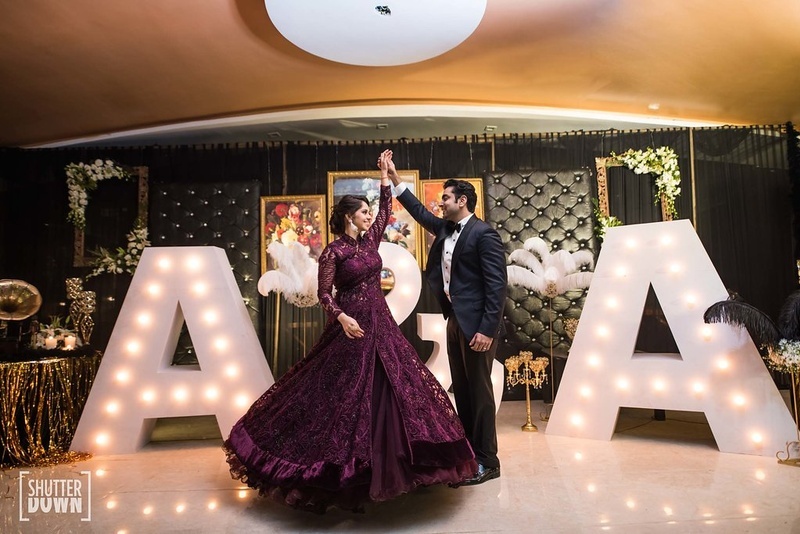 The topping on the cake was the classic, red JJ Valaya lehenga she wore for her wedding day, complementing her groom's intricately embroidered sherwani jacket.